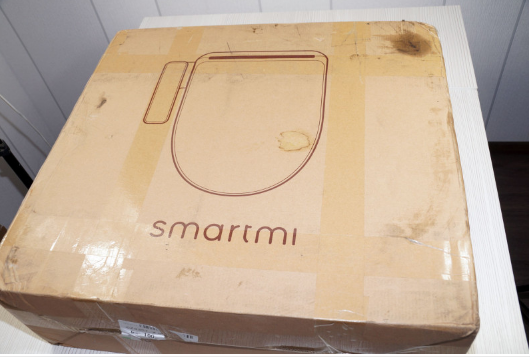 Today in this review we bring out the one of the best innovative product from Xaomi the Xiaomi smartmi smart toilet seat. Xiaomi is always bringing the change we wanted to see. As a company Xioami is bringing technology to every aspect of life, to make our life better. 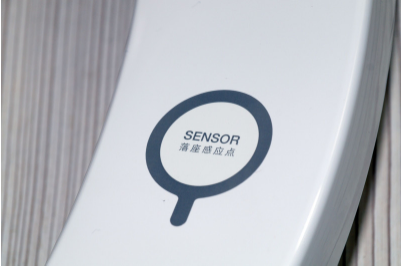 Smart toilets are very famous in Japan, and since the time we got to know about them, we wanted to try one. 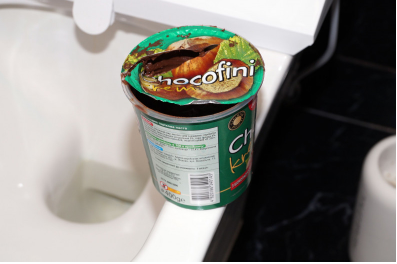 However, for experiencing a smart toilet and going to Japan will be a little too much. Here comes the Xiaomi. 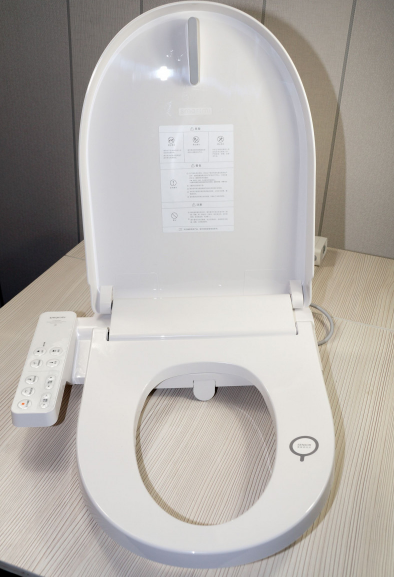 Maybe they have seen a full market in the field of the smart toilet seat. There are very fewer manufacturers who are bringing this dream into reality. With the Xioami product, trust is not an issue. So without taking your more time lets start the review. 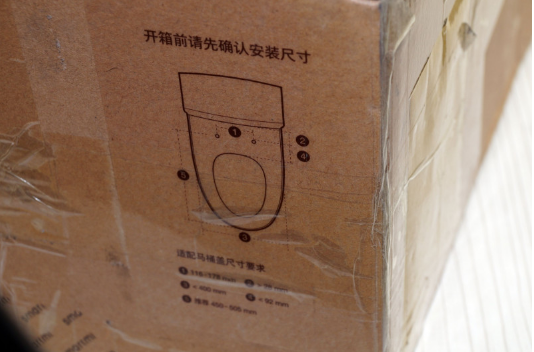 Usually, when it comes to reviewing about product from Xioami, there are comments about toilet paper from this brand. This time they are going to be relevant as it will be about the toilet seat. 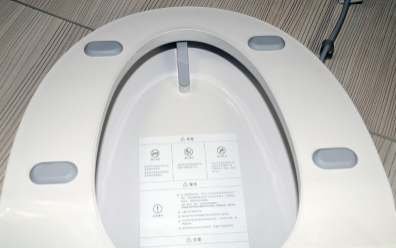 Now coming to the Xiaomi smartmi smart toilet seat there is no WiFi or Bluetooth module in it like other Xiomi products. 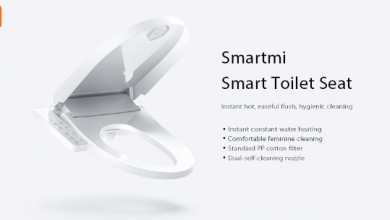 So calling it a smart toilet will be little bit extravaganza. 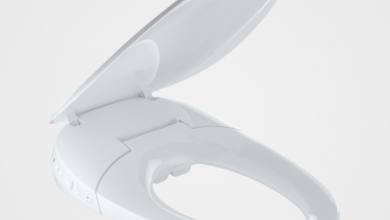 Rather than a smart toilet seat its a multifunction seat that expands the possibilities of the simplest toilet bowl. Review with tests under the cut. Water temperature: 4 – 40 ° ? 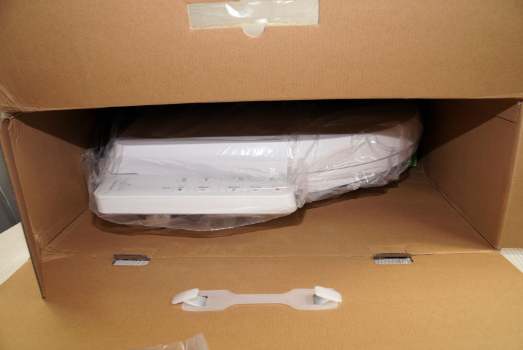 The package came to us in a big cardboard box. Even something like oil was there in the corner. 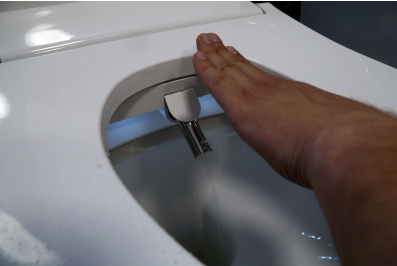 The dimensions of the toilet on which you can install this toilet seat. 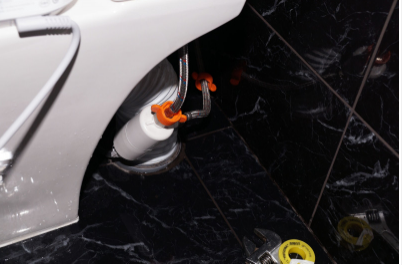 The bolt joint part should be of 116-178 millimeters, and the width of the toilet bowl should be less than 400 millimetres. Everything comes with the protection of foam, usual Xiaomi style. 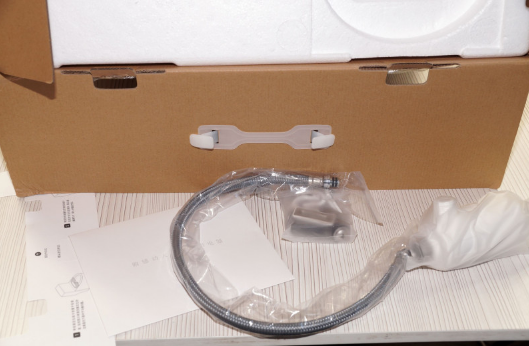 From the upper part, you will get a hose, filter, instructions and fasteners. The foam has really done its job well. Despite the shabby box, the toilet seat this had no effect while transiting. 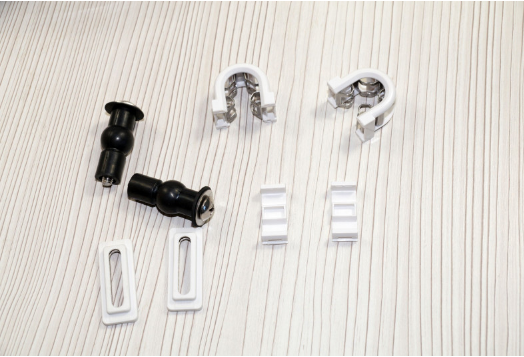 A set of fasteners and hose clamps. 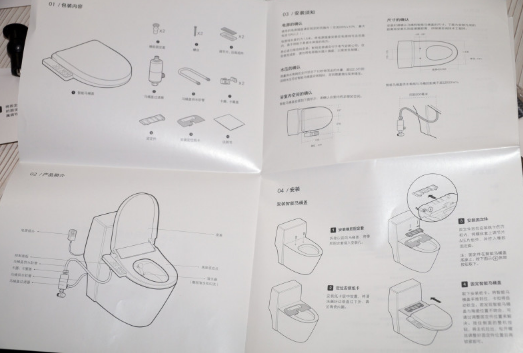 The manual that came with the toilet is great. Everything is in Chinese, but schematically everything is “painted” in sufficient detail. 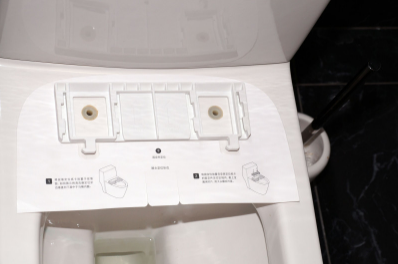 The manual is really useful for mounting the toilet seat. Carton – a template for precise positioning of the toilet seat on the toilet. The plastic fitter comes with cotton filling in it. 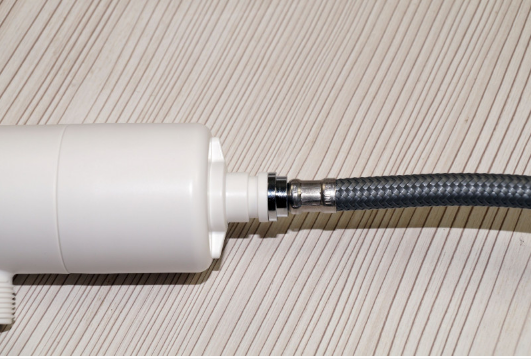 This protects the fitter against plugging of nozzles with sand and other suspended matter. 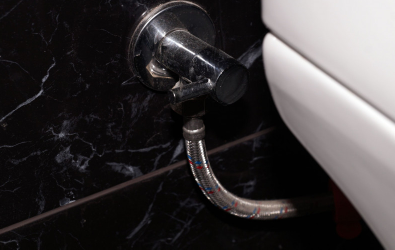 When water is getting pump into the toilet tank, it passes the filter. When fed into the lid – passes through the filter. The filter did not work out for us. Also, the question of the reserve is also left hanging in the air. In general, we are not very bothered; a separate common filter is with us, at the entrance to the office. After this, you need to connect fitter with the water supply. 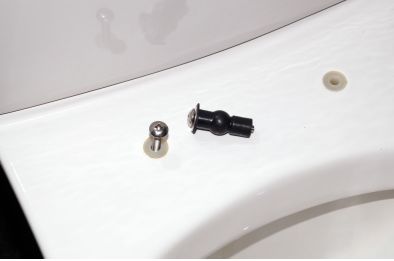 Screw the hose to the toilet bowl on the plastic thread, and connect the hose from the toilet seat to the hole on the other side of the filter. 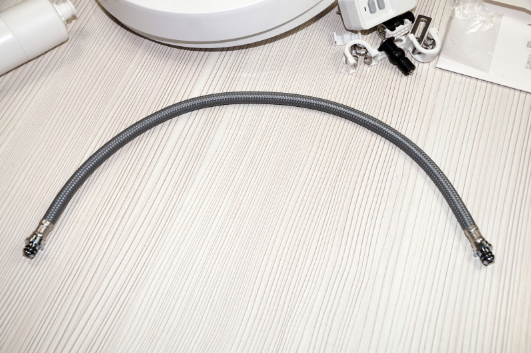 The hose comes with a steel braid and lengths around 40 cm. There are two rubber sealing ring on each side of the hose. The connection between the hose and filter is pretty simple. With little effort, we insert the hose into the filter and put on a steel clip in a plastic case. This is a little bit tricky because excess effort can break the hose itself. 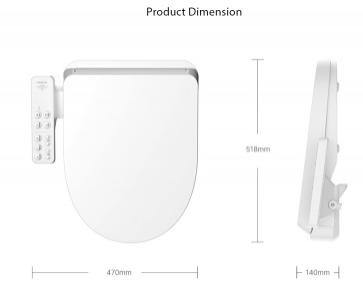 The Xiaomi smartmi smart toilet seat looks pretty similar to the regular toilet seat. The only difference comes down to the presence of wires and buttons control. You will get a usual “Chinese” type N plug. 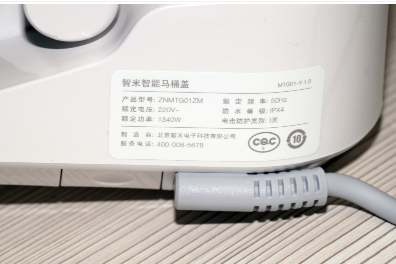 You will need a multi-plug that can support this Chinese plug. 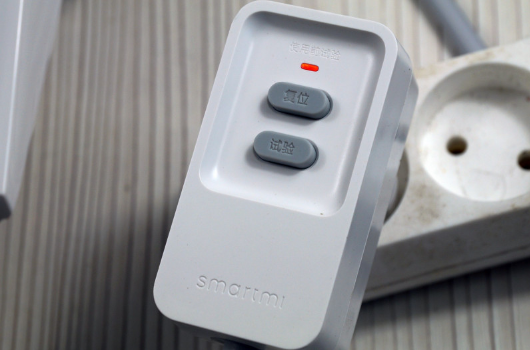 The plug also comes with its own of/off button. 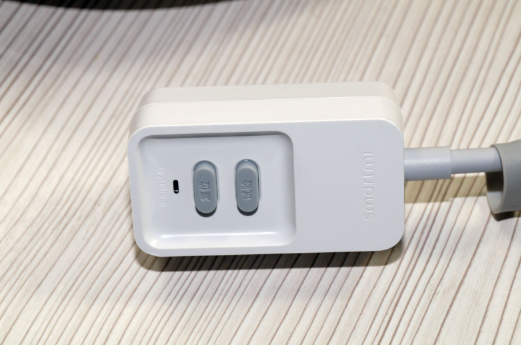 According to Xiaomi’s statements, the plug comes with a leakage protection (RCD). It helps by not letting the seat turn into an electric chair in case of some mishap. Plugging the seat is also a problem. We barely found a suitable square to plug it in. We didn’t completely disassemble it to check the auto mode. For further looking inside we would have to unsolder the wires. We didn’t want that to happen due to safety issues. Inside there is a huge ferrite ring, but it turned out to be a differential transformer. 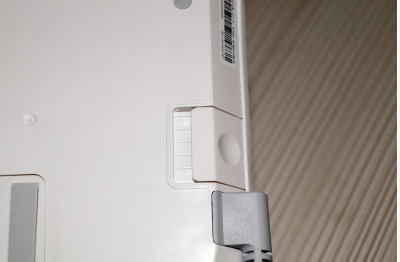 There are two buttons on the switch. One button is responsible for switching on, the second for switching off. 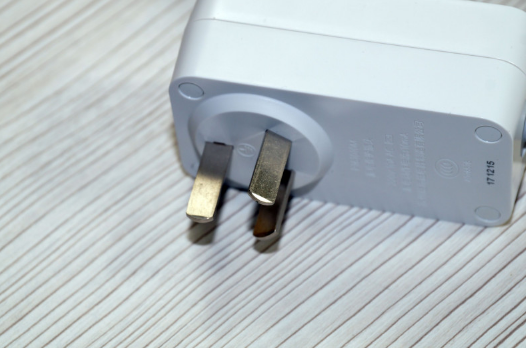 We recommend not to pull it out of the socket before a long journey. 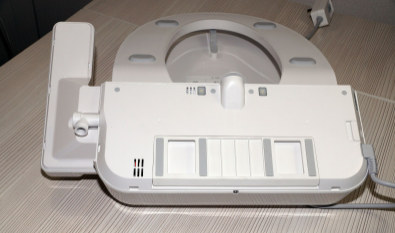 The Xiaomi smartmi smart toilet seat back side with all the controller. 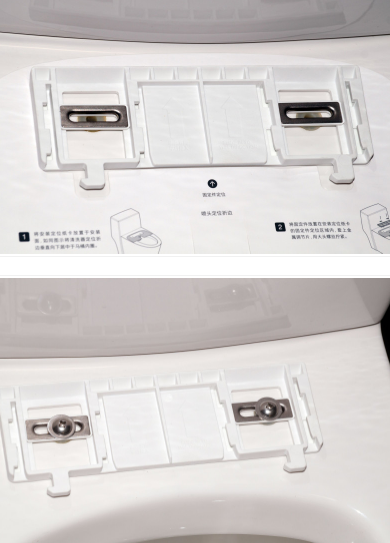 All the controller of Xiaomi smartmi smart toilet seat is at the right side of the device in a separate area. All the controller parts and buttons come with IPx4 protection. 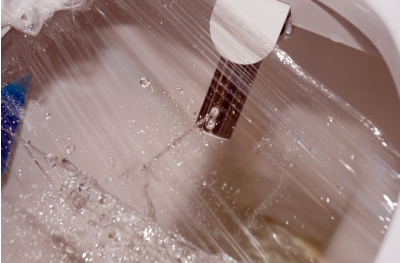 The IPx4 protection is for protection against water splashes from any direction. 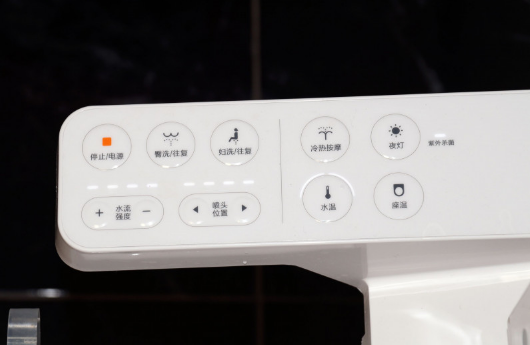 This lets you even press the controller with wet hands without worrying about any electric shock. 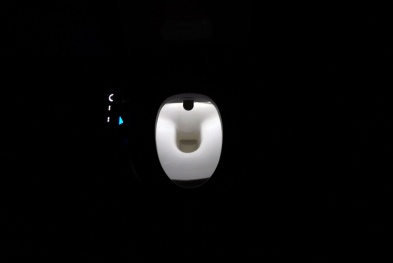 When you switch on the power of Xiaomi smartmi smart toilet seat, the selected modes get illuminated with light. Every button performs a different operation, but except stop button nothing was clear. Since everything was in Chinese on the controller, we have to experience every mode by ourselves. 1 – Stops: This stops the selected mode forcibly. 2 – For strong jet. 3 – This one is for females as it uses 5 streams for gentle rinsing of intimate areas. 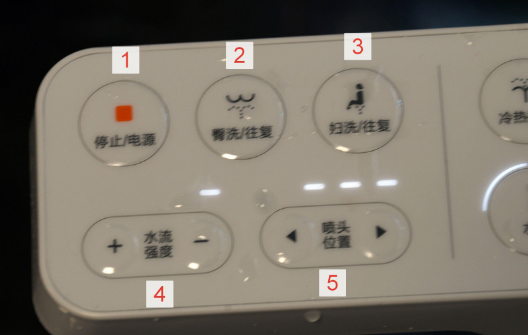 The no 3 and 4 are switches the mode from cleaning to massage mode. When you start this mode the piston starts to slide out and drive a short distance. We do not know how it massages but cleans perfectly. 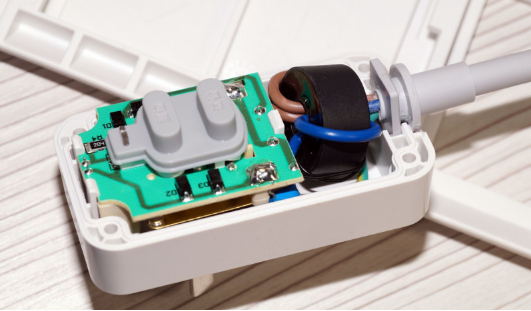 On the other side of the controller, you can find buttons for controlling the modes and temperature. 6 – forced cleaning piston. 8 – temperature mode of water. From standard to 40 degrees Celsius. This is great if you are living in a cold country and every day you have to go through cold water. 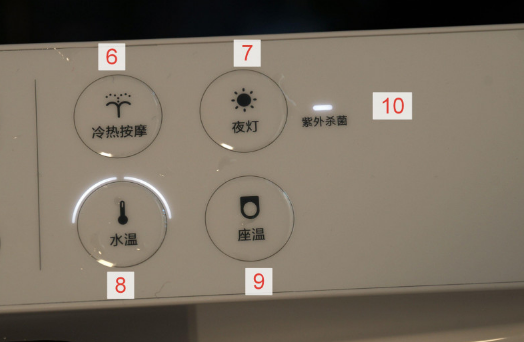 9 – To control the temperature of the toilet seat. Normal and 4 heating mode. In winter, it may be relevant. In the summer, not so much of requirement. 10 – If the LED is on, then the piston has been sterilized, and everything is okay. Whether is light or dark, the back light can be seen normally. And so quite to itself a toilet seat as a toilet seat. 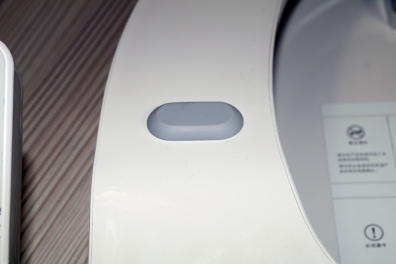 Both the lid and toilet seat of Xiaomi smartmi smart toilet seat rise and fall silently. They come with a micro lift and does not allow to slam the lid. So even if you have children at home, you need not worry about them getting injured by the toilet seat. 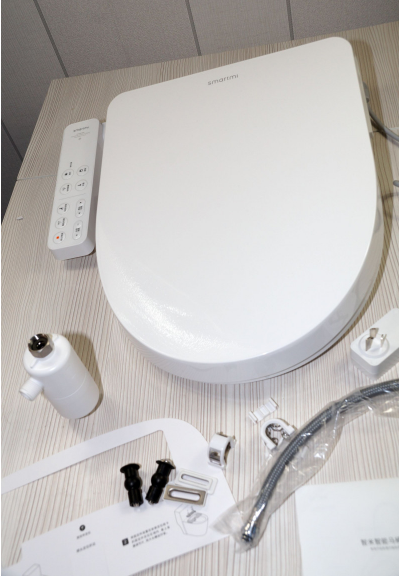 The power cord connects to the left side of Xiaomi smartmi smart toilet seat. 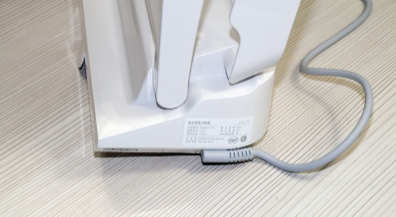 The quality and fixation of the cord is at the top level. 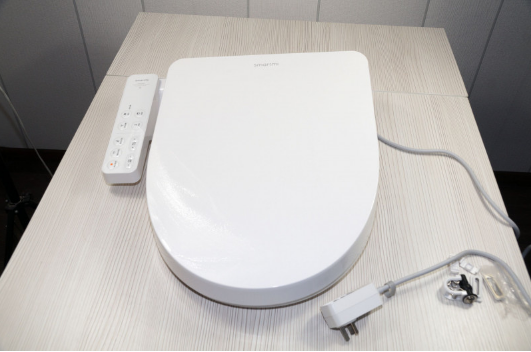 For heating, the ceramic seat the Xiaomi smartmi smart toilet seat takes around 20 seconds and 1340 watts power. Most of the power get utilize only for heating the seat.. 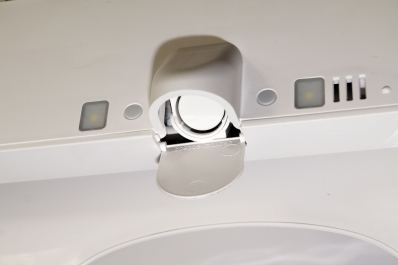 There are two LEDs for lightning and the slots of the loudspeaker in the lower part of the seat. 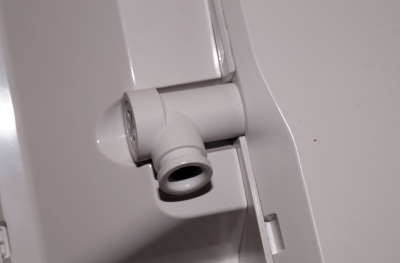 Also, there is the water connection tube and the mounting platform of the seat. 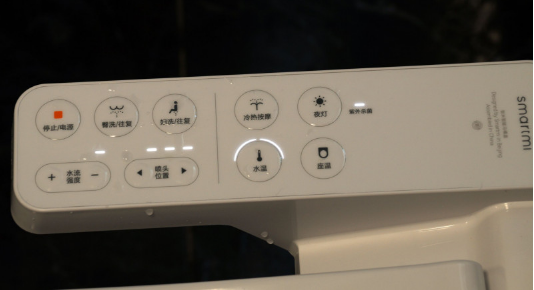 For removing the toilet seat, you have to press this button and slightly pull it towards yourself. The result will be like this. 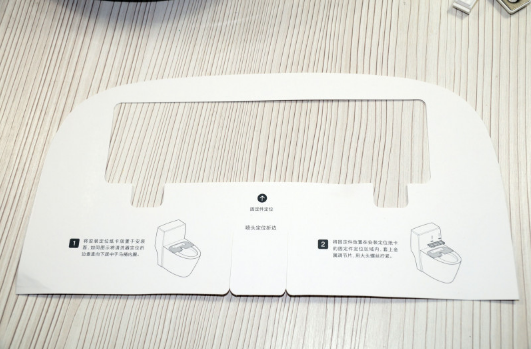 You will get a separate seat with a plastic platform and rubber inserts with it. 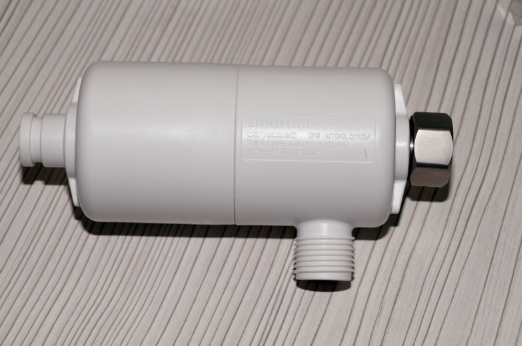 There is also a L-shape tube for connecting water supply. This lets you allow to rotate the pipe for around 120 degrees around the axis. 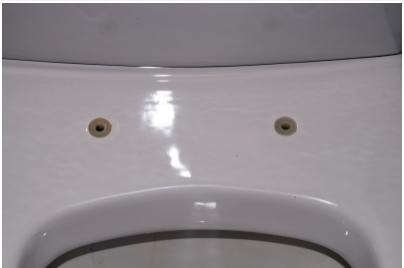 On the toilet seat are 4 anti-slip rubber pads. The same gum is present on the cover. 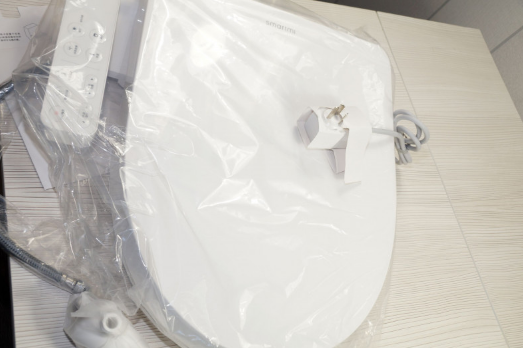 Being a smart device from Xioami, the toilet seat has its own perks. 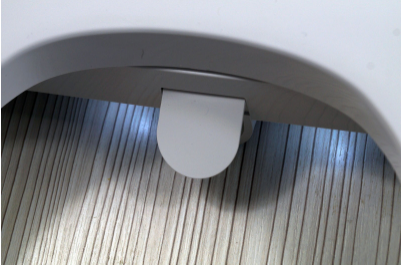 There is a sensor at the left side of stool, and it recognizes if someone has sat on the seat. 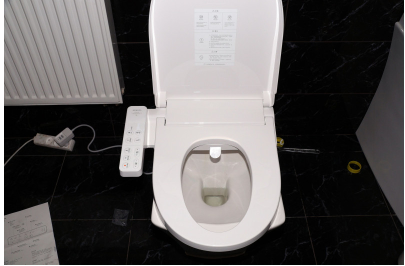 Not only this, but it also commands the toilet seat for standby mode, flush and disinfects with a piston. 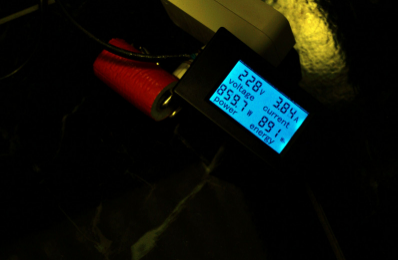 The dimensions of the cover, excluding the control panel. 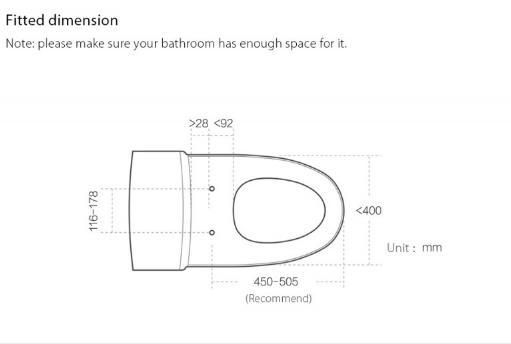 The dimensions of the toilet seat. First thing first, dismantle your old toilet seat. 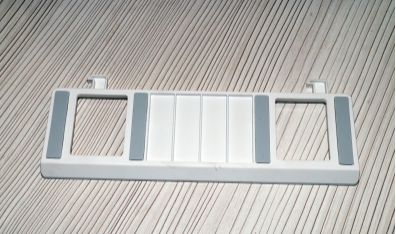 We didn’t pull out the plastic fasteners, and also didn’t put the screws from Xiaomi, we’ll be fixing the old ones. Set the plastic strip and place a cardboard template from the kit under it. Insert steel fasteners and slightly tighten them with screws. 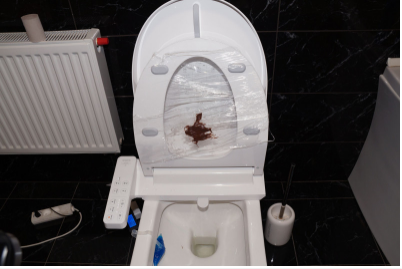 Next, we snap the toilet seat for more accurate positioning. Carefully put it out and just carefully removed. Tighten the screws. 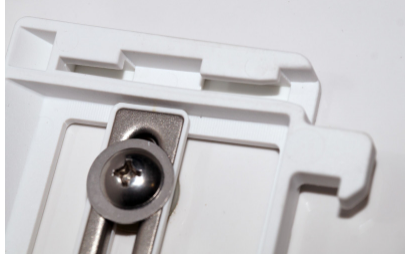 At the site and mount there are micro-notches, which prevent the possibility of slipping of elements. 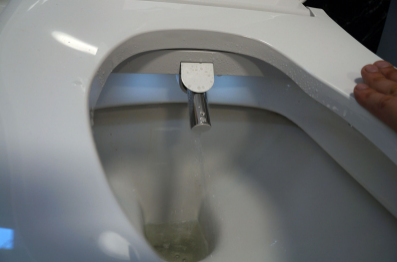 With a wrench, we unscrew the hose that goes to the toilet bowl. Do not forget to pre-block the water. And here we were waiting for Mr. bummer. The filter housing does not allow us to wind it on the tap of the water supply. The solution came in the form of a 20 centimeter flexible hose. 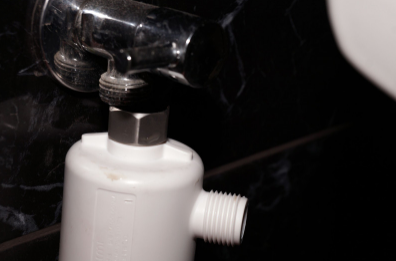 On the fum tape we connect the water supply from the tap. 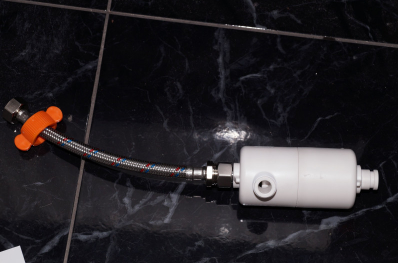 And with the help of a small hose purchased, we connect the filter to the toilet bowl. 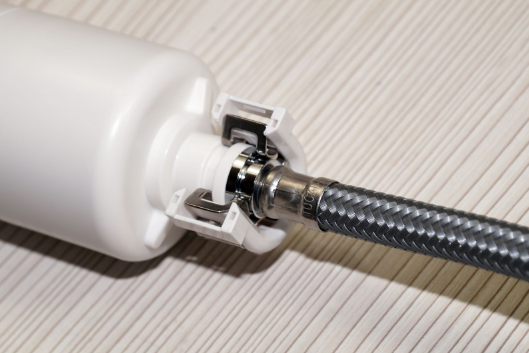 From the side of the smart stool, we also connect the water supply hose from the filter using force and clamping. 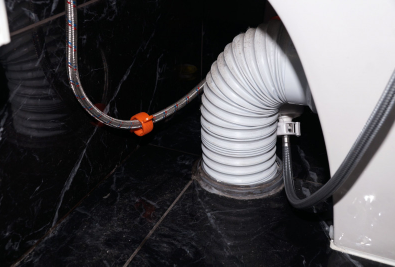 As a result, the filter is neatly hidden behind the toilet and there is no tangle of hoses. 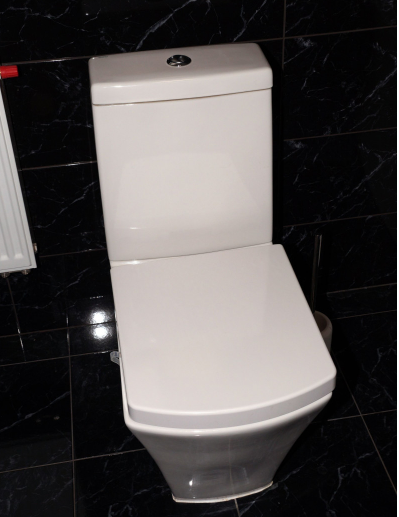 Our second mistake is that we have a square toilet and an oval toilet seat. Slightly spoils the look. But the overall “functional” does not affect. 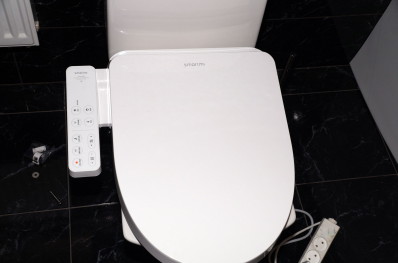 In general, the whole process of using Xiaomi smartmi smart toilet seat is great. 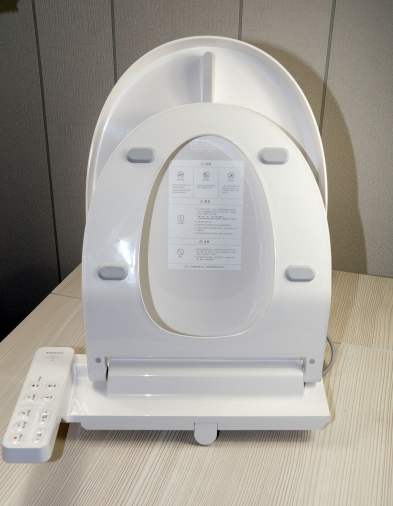 Just after using the toilet the smart seat immediately washes away the water with a piston and disinfects it with a UV lamp. This will make your life comfortable and clean. 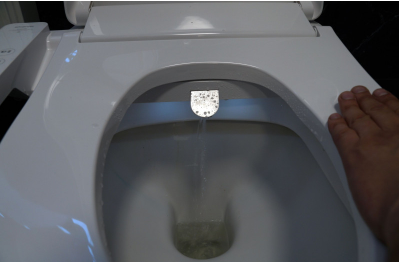 The inclusion of UV light is excellent as it disinfects the bacteria present of the toilet seat and keeps them away from falling into intimate places. 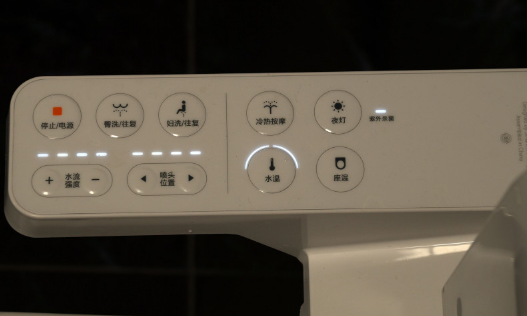 After doing the usual business, you can choose from different controls as you need from a bidet, or a female shower, or a massage. 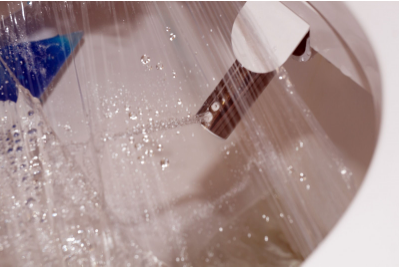 The piston comes out automatically according to the chosen length and pours out with warm water or a bidet or a shower. After 30 seconds if you do not close it by yourself, it will do its job clean by water and illuminate a UV lamp for proper cleaning. If you just get up from the seat, the piston automatically stops watering and goes into its usual position. Bidet is almost ready to use. Cleaning dirty places went great. The maximum mode of the seat is a little bit uncomfortable. the best option is the average mode. If the water jet does not go where it is needed, You can adjust the length of the piston according to your body. After washing, the piston leaves, still rinsing with water and UV. The female shower is most gentle. Water gets pump under lighter pressure and sprinkled through five holes. 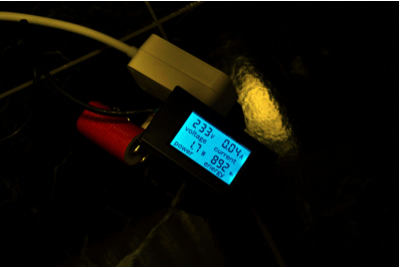 In standby mode, no matter with or without the backlight, the power consumption is 1.7 watts. 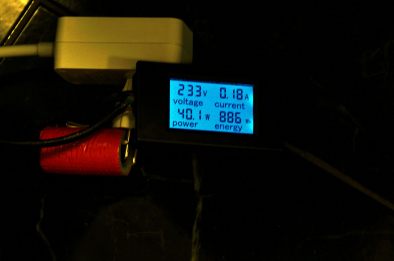 With the stool on the average power turned on – 40.1 watts. 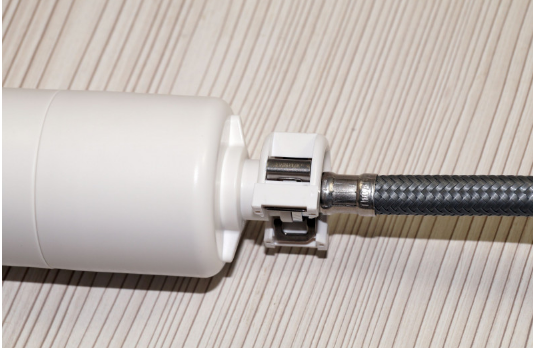 At the time of the ceramic water heater, the maximum managed to catch up to 1 kW. 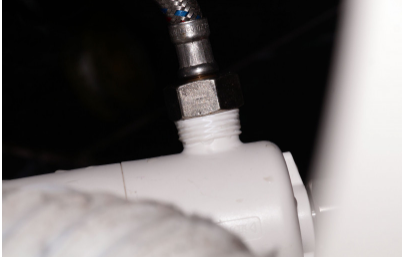 The water heating system starts when the piston leaves its place and stops when the water supply gets off. As a result, water to intimate places is quickly warm, with not a feeling of UHHH but OHHHH. The film acts as a VERY dirty point. After a few seconds, the paste went down the toilet. 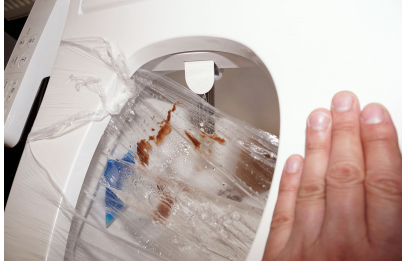 On the sides, the water flow is not regular, but take into account that this is not the point you want to clean. There is no brightness or backlight adjustment, it is either turned on or off. At night, you will not miss the toilet. Also this can not wake yourself up with the bright light of the seat. 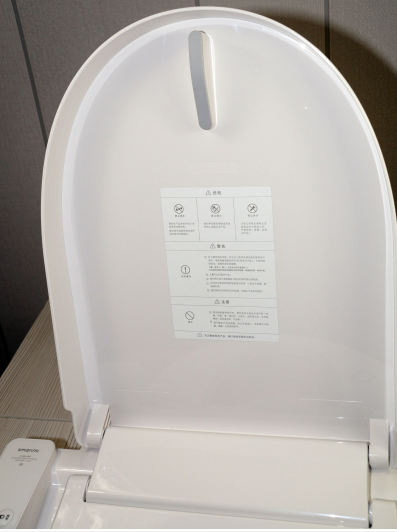 First thing first, the Xiaomi smartmi smart toilet seat is really great. 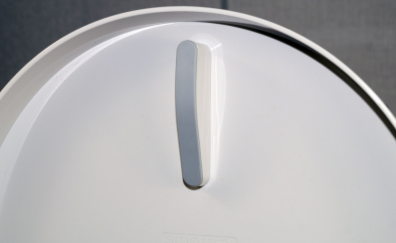 The device not only saves your bills from buying toilet paper but also it’s more clean and safe than using toilet paper. 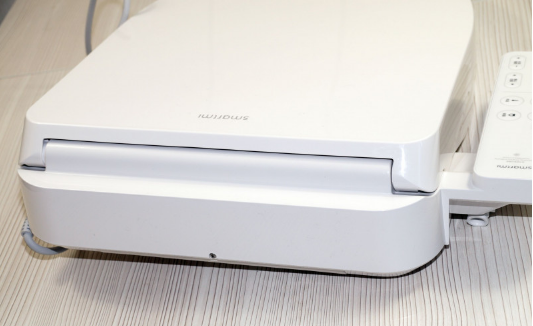 The advantages of the device include its quality of performance and bug-free work. Washing is always better than the traditional use of toilet papers. Even doctors suggest the same thing because water does all the dirty work. Moreover, the toilet is extremely safe. 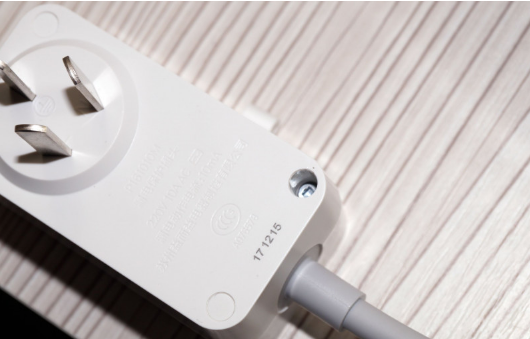 All the parts are electric shock proof and as for Xiaomi safety is always the first priority. 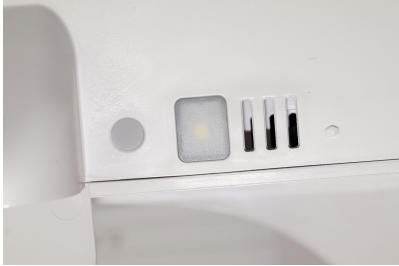 The inclusion of UV light provides a safe environment from the bacteria present on the toilet seats. 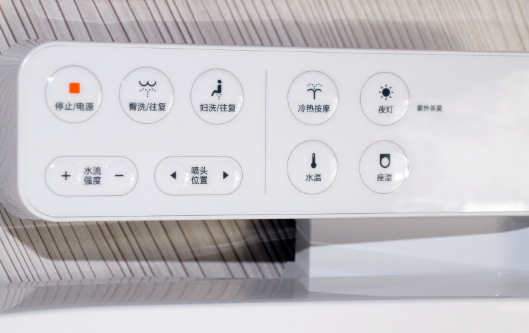 With different functions like the auto heating seat and lukewarm water, the Xiaomi smartmi smart toilet seat becomes a must have seat if you are looking for a smart washroom.